Discerning traveller Jaillan Yehia discovers the stylish side of Siem Reap and gives us 10 reasons to linger near Cambodia’s Temple City. Most tourists come to Siem Reap to see Cambodia’s UNESCO World Heritage Site at Angkor Wat – and with an average visit of three short days to see as much as possible of the vast temple complex, feeling ‘templed out’ is the phrase on everyone’s lips. 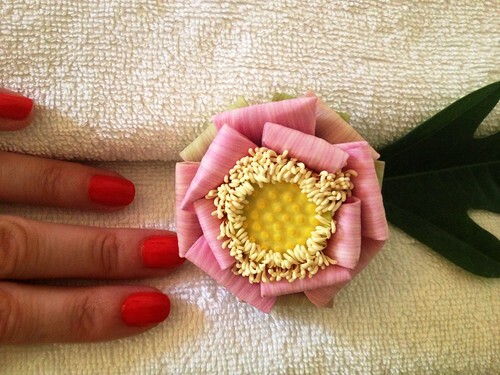 There are plenty of places to get massages or manicures in Siem Reap but none are quite as stylish as Frangipani Spa. Tucked behind an oasis of greenery down an small alley opposite Café De La Paix you’ll find a retro-styled two-floor building with a zen feel and a full range of services from manis and pedis to massages and facials. You are then served up a cup of hot tea and a cold flannel before being dispatched back into the real world. Frangipani Spa is at no. 617 Hup Guan Street, Siem Reap. Try a yoga class with a difference in the super stylish surroundings of Navutu Dreams Resort & Spa, an Italian-run Mediterranean-designed retreat 10 minutes by tuk tuk from the centre of town. Private classes can be arranged on the rooftop or the lawn and the resort holds advanced yoga workshops with international yogis too. Navutu Dreams Resort and Spa is located at Angkor High School Road, Siem Reap. The Upstairs Café is just a few minutes away from the well-trodden tourist-filled centre of Siem Reap, but it might as well be another world. In the up-and-coming area of Wat Bo, ex-MAC makeup artist Sarah has brought her own brand of French style, eye for detail and predilection for baking to a tucked away secret space which you’ll spot from the road by the tell-tale red teapot. Upstairs Café is located at Wat Bo Road, Siem Reap. Another stylish French hideaway, this European-standard salon inside the Prince D’Angkor Hotel is the perfect place to flee to if your hair is suffering from the humidity and you need an overhaul before hitting one of the other places on this list. Anything from colouring and cutting to a blow-dry or an up do is available, and at these prices – colour from $18, styling from $15 – it’s worth popping in before getting on the plane home too. L’Atelier Coiffure is located inside the Prince D’Angkor Hotel, Sivatha Blv, Mondul II, Sangkat Svay Dangkom, Siem Reap. Every Thursday evening exclusive boutique hotel Heritage Suites holds a happy hour and jazz evening in the refined surroundings of their atmospheric Asian-meets-Colonial style bar. Enjoy a Khmer margarita or head to the dedicated wine bar to choose your two-for-one tipple to the sound of a trio of jazz musicians. Heritage Suites is located next to Wat (Pagoda) Po Langka, Siem Reap. There are plenty of places to augment your backpacker staples like fisherman’s pants and Angkor Beer vest tops around town, but to slink around the stylish parts of Siem Reap you’ll need to look a little harder. 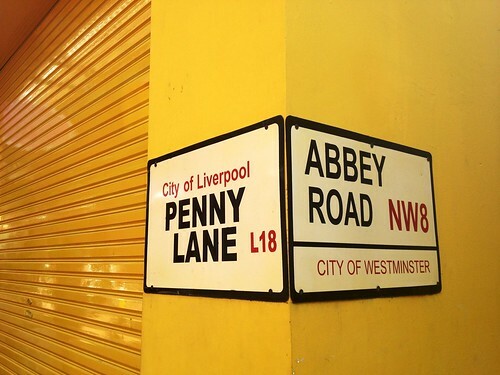 Down an alleyway off Pub Street known as The Lane, or even Penny Lane you’ll find Three Seasons, an airy boutique with cute floaty dresses and vest tops by local designers such as KeoK’jay, and plenty of little accessories to spruce up your travelling wardrobe. 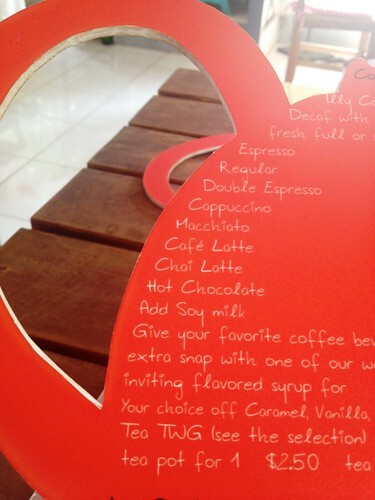 Three Seasons is located in the Lane, small alley parallel to Pub Street. The Elephant Bar at Raffles Grand Hotel D’Angkor is a super swish place to stop in for a drink, and you’ll be in good company: the Clintons have stayed here whilst in town and the conservatory walls are adorned with pictures of Jackie O from her 1967 visit to Cambodia. The signature cocktail to try here – to the sound of tinkling ivories - is The Airavata, a blend of rum, coconut passion, lime juice, crème de banana with pineapple and coconut juice. Raffles Grand Hotel D’Angkor is located at 1 Vithei Charles de Gaulle, Khum Svay Dang Kum, Angkor. 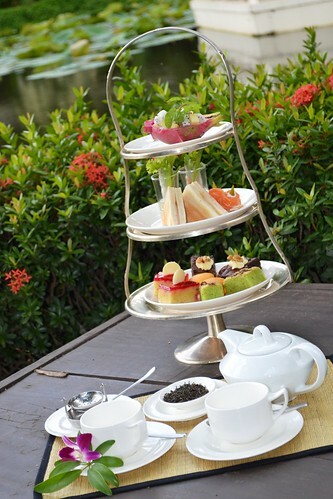 A palatial property on the road to the temples set in six hectares of tropical landscaped gardens, Sofitel Phokeethra is the best place to indulge in the truly European tradition of High Tea. Served in the Explorers’ Tales Bar from 3-5pm daily you can choose between English or French menus, or go local with the Khmer Fusion Afternoon Tea which switches sandwiches for spring rolls and adds Khmer pastries into the mix instead of Mille-Feuille. The Sofitel Phokeethra is located at Vithei Charles de Gaulle, Khum Svay Dang Kum, Angkor. Long-time local resident and Filipino artist, as well as the man behind the annual Siem Reap Art Explo Loven Ramos exhibits his own work as well as that of other artists at this art retro-styled gallery/shop/residence named 1961. Set in what was once a private house with large courtyard on River Road a visit this is a great way to get in touch with the artistic side of Siem Reap culture. 1961 is located at Osaphear Street, Upper West Side, River Road, Siem Reap. 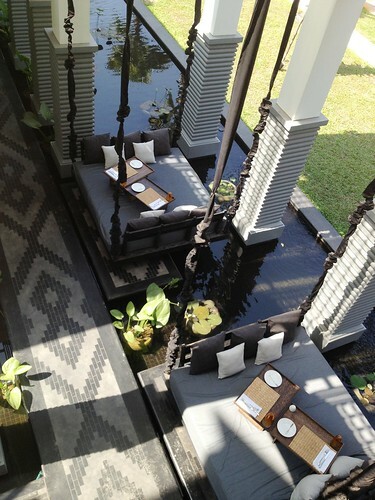 Dine with a difference at upscale boutique hotel Shinta Mani’s signature restaurant Kroya - which means ‘food’ in Khmer. The refined menu features modern interpretations of classic Khmer cuisine and you can dine on the hotel’s atmospheric outdoor terrace on one the four-seater suspended swings amongst a sea of muted grey tones, permeated on occasion by accents of orange, said to represent fleeting glimpses of the monks as they move through the temples. Shinta Mani is located at the junction of Oum Khun and 14th Street, Siem Reap.